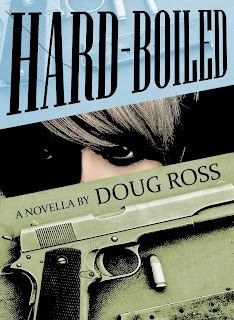 Doug Ross @ Journal: USEFUL IDIOT DAVID GREGORY: Faces a Year in Prison for Waving Around a High-Cap Magazine on "Meet the Democrat Press"
USEFUL IDIOT DAVID GREGORY: Faces a Year in Prison for Waving Around a High-Cap Magazine on "Meet the Democrat Press"
Your Honor, in the matter of District of Columbia versus David Gregory, I would like to submit into evidence Exhibit A for the prosecution. Meet the Press’s studios are located in Washington DC. 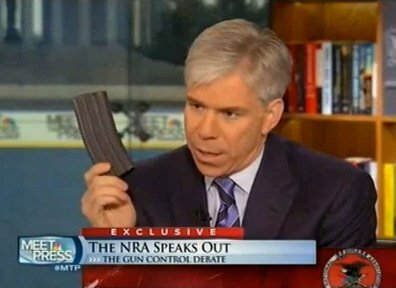 This morning on “Meet the Press”, David Gregory decided to wave around a 30-round AR-15 magazine. It is also illegal to possess, sell or transfer any “large capacity ammunition feeding device.” A person guilty of this charge can be sentenced to a maximum fine of $1000 and/or up to a year imprisonment. D.C. Criminal Code 7-2506.01. The incident was all part of David Gregory's blatant advocacy journalism, designed to advance the totalitarian and unconstitutional agenda of restricting access to firearms by law-abiding citizens. Well, since the last Republican was on RT @howardkurtz: David Gregory really hammering Wayne LaPierre on Meet. Never seen him so aggressive. The best response to Gregory's biased idiocy? #MTP I've seen David Gregory wimp out on interview after interview until this one. Suddenly he's grown a pair when the herd is leading him. To paraphrase someone on Twitter, if it's Sunday, David Gregory's doing a crappy job on Meet the Democrat Press. Hat tips: Twitchy and Katie Pavlich. If the clip he brandished on the air had no mechanical workings installed within it, then this story is completely unnecessary. He's sill in trouble even "[i]f the clip he brandished on the air had no mechanical workings installed within it", because it " 'can be readily restored or converted to accept, more than 10 rounds of ammunition...' ". A month ago, a local gun store was overflowing with these evil metal widgets. I have plenty so I walked on by. Now, the store is stripped bare and you can bet given how much they are fetching on eBay (like 10x the normal price) that anyone who can stamp them out is working day and night to make as many as possible. If the left wants to reduce the number of evil-looking magazines and evil-looking firearms in civilian hands, they are doing going about it in a strange way. Maybe they broadcast from right across the river in Virginia? Like anything's going to happen to him anyway! Keep up the pressure, folks. There's a very real chance that we can at least get Gregory fired, if not fined and imprisoned as well. Doing so would even turn the liberal media against gun control and Obamee's police state. 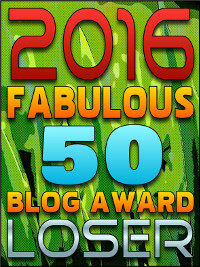 Keep calling, tweeting and emailing. Yeah, this is definitely going to fly... Dumb "issue." The legal concept here is called "constructive possession" - being in possession of one part of a multipart assembly that in toto is illegal without possession of any of it's other constituate parts is not illegal. Does anyone know for sure that the magazine body he had in is possession was a complete assembly? or, that he also had all the other parts somewhere in his possession to effect a complete assembly? Hmmm... did you just get "powned"?!? BTW: I'm not defending Gregory - he's got all the journalistic acumen of a sack of hammers - In fact, it wouldn't surprise me if it was indeed a complete clip sans rounds. But, if we rush to judgement we're no better than the Lamestream Press.
" or that can be readily restored or converted to accept, more than 10 rounds of ammunition..."
Regardless of the internal state of the magazine, it's clear that it can be restored to accept more than 10 rounds of ammunition.